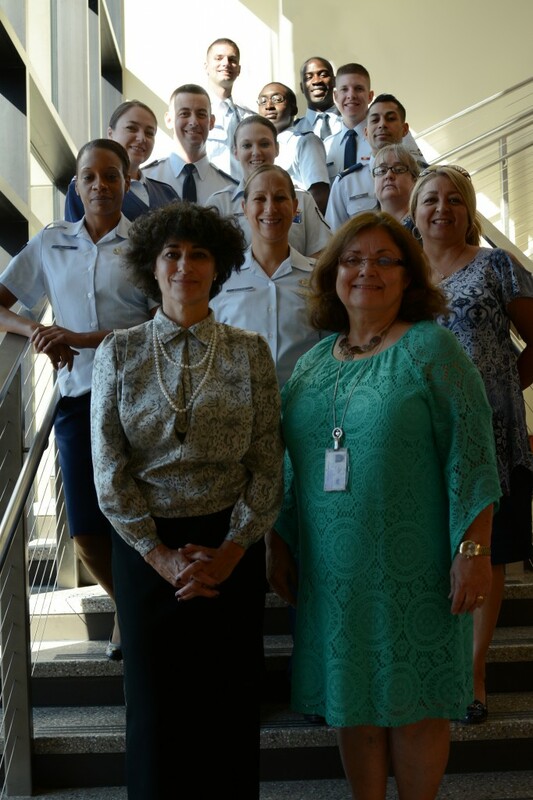 Ms. Weecks used to regularly teach a seminar series to the JAG Corps at Luke Air Force Base as a public service to the honorable men and women in uniform who selflessly protect and serve our country. 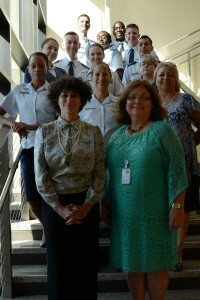 As a United States Department of Veterans Affairs (VA) accredited attorney, Attorney Debbie Weecks participates in the annual three-day AZ StandDown when able at the Veterans’ Memorial Coliseum in Phoenix, along with many volunteer attorneys, judges, and court staff from all around the greater Phoenix area. The event is always very well attended, and veterans are offered many services involving housing, benefits, and etc. Always, a special thanks to the University of Detroit Michigan Mercy School of Law students, Professor Kudialis, and her team for assisting in our local Project Salute and traveling to Arizona in year 2013! It is great to see into year 2015 that so many attorneys and law students continue the tradition. 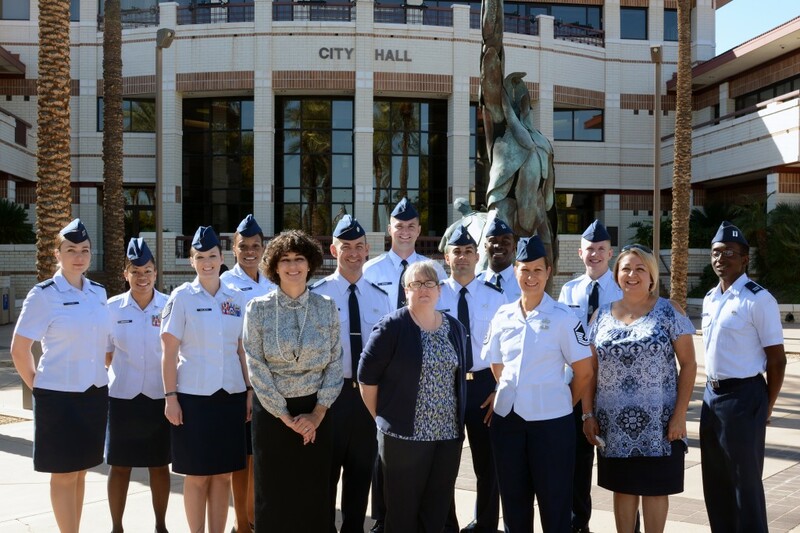 Ms. Weecks was honored to co-host a JAG Corps field trip, CLE (continuing legal education), and luncheon during the half-day event at the Peoria Municipal Court with the Hon. George T. Anagnost, Presiding Judge, on October 19th, 2016. Court Administrator Brenda Jordan provided wonderful insights during the tour, while security kindly demonstrated the fingerprint technology. Additionally, the JAGC was able to observe Judge Sherri T Rollison during arraignment proceedings to a semi-full courtroom. 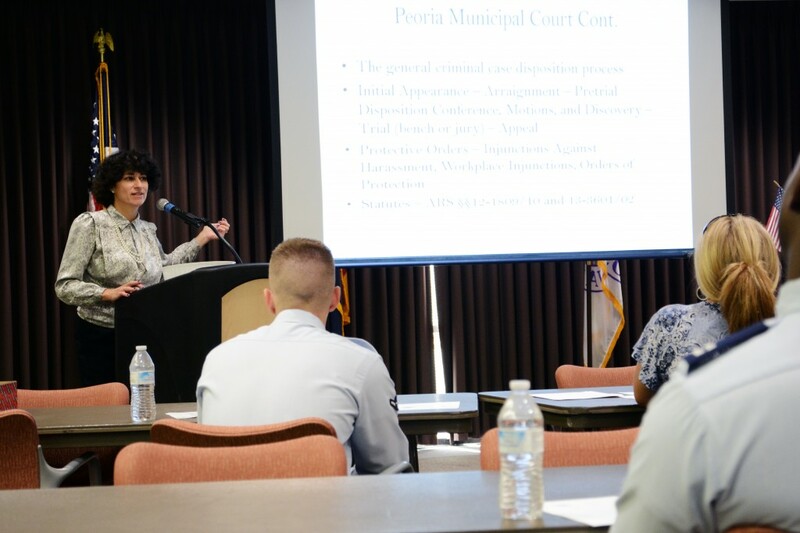 All-in-all, the forum included presentation of much information about Arizona courts, substantive law, and protective orders.